Smart grid (SG) uses bi-directional communication among the components of power system all the way from generation down to power consumers. The basic architecture of SG is comprised of multi-layered network with applications that have diverse quality-of-service (QoS) requirements. Integrating cognitive radio (CR) in SG network results in efficient handling of differential data amounts and latencies, while meeting stringent reliability requirements through cognition in the system parameters and bandwidth adaptation. Meeting data rate, reliability, and latency demands of various smart grid applications pose greater challenge in presence of uncertainty factors e.g. spectrum sensing errors, channel unavailability with desired parameters and signal-to-noise ratio etc. Spectrum sensing is the fundamental requirement of any CR-based network and this is required to identify available idle channels. 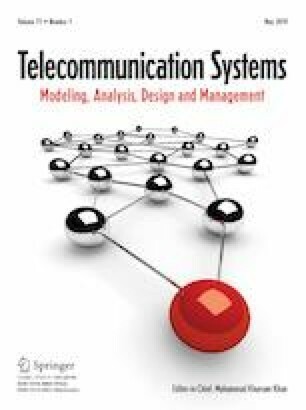 Existing channel selection algorithms do not consider exact SG communication requirements simultaneously to allocate a suitable channel in accordance with some wireless standards. In this paper, we propose a technique which selects the optimum channel for the particular application, from a pool of available channels which best meets the QoS requirements. For the optimum channel selection, fuzzy inference system optimization technique is used. The physical layer is based on mode-4 of IEEE 802.22 standard, wireless regional area network. A novel approach is also proposed for allocation of channel when desired channel in not available. This approach is based on selecting an alternate channel, in event of unavailability of desired channel, with parameters that closely match with the desired requirements in order to reduce re-transmission probability. The proposed technique outperforms existing algorithms in terms of achieved latency by a minimum of 200%, and throughput by approximately 50%.